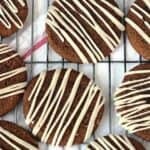 These Soft-Baked Molasses Gingerbread Cookies are crispy on the outside and soft in the middle. I topped them with a brown butter maple glaze that is sure to impress your friends. 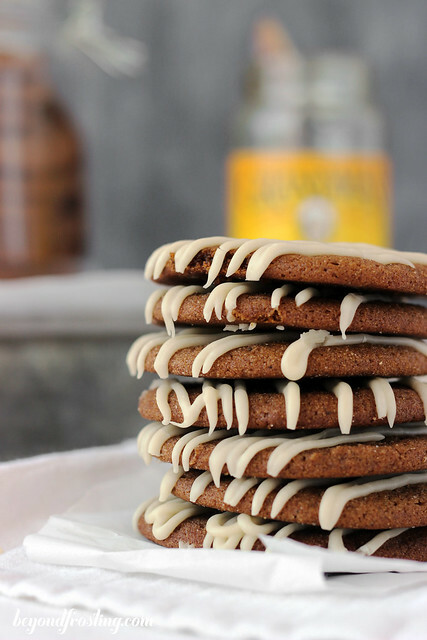 Day three of cookie week and I am here sharing these Soft-Baked Molasses Cookies with a Brown Butter Maple Glaze. I know that’s a mouthful, but when you have a mouthful of these cookies, you won’t be sorry! 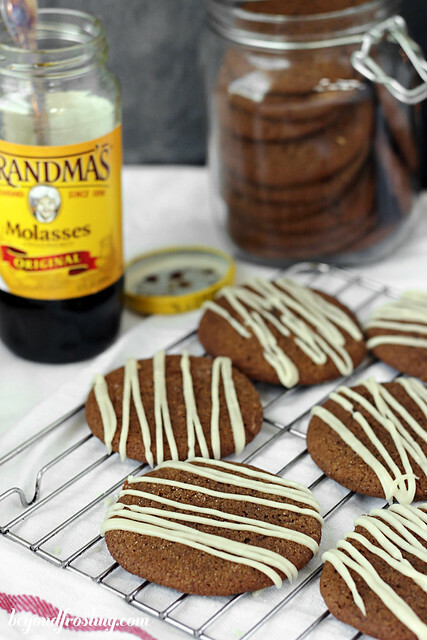 Do you call them gingerbread cookies or molasses cookies? 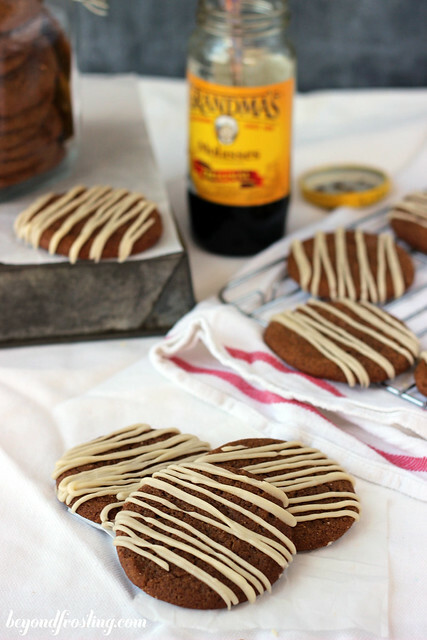 I don’t know what’s more appropriate; I am inclined to call them gingerbread cookies. 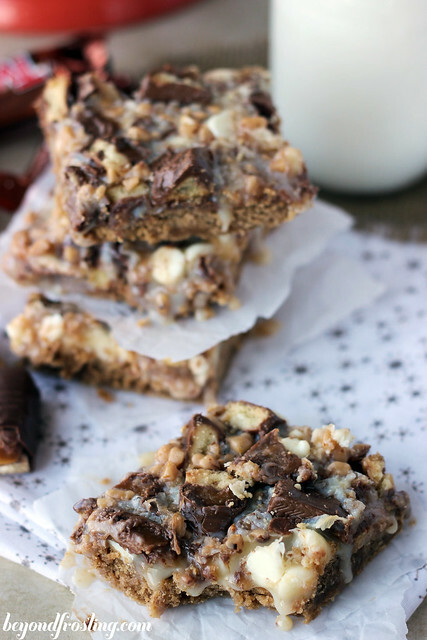 These cookies are perfectly baked with a crispy edge and a soft middle. Isn’t that how every cookie should be? My friends Anna and Lisa over at Garnish with Lemon gave me some Gingerbread Sugar when I met them during the Iowa Corn Quest tour. That is when I knew I had to make a gingerbread cookie this holiday season. 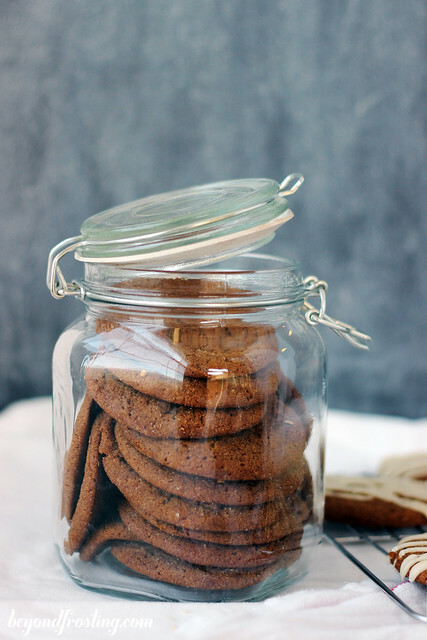 You don’t need to have this gingerbread sugar in order to make this recipe, but I did roll my cookies in a cinnamon and sugar coating before baking. 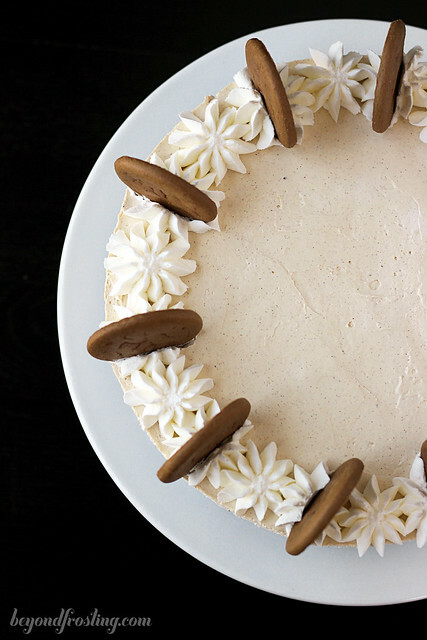 It’s sort of reminiscent of a snickerdoodle. This recipe is a bit near and dear to my heart. My grandmother on my mom’s side died suddenly at the age of 76. I was younger than 10 years old when she died. However, she was the one who gave me my nickname, “Sugar”, and she’s the one I got my sweet tooth from. Her spread of Christmas cookies was downright amazing! This recipe is from her church cookbook. She got together with her friends at the church and they made a cookbook where they all exchanged their favorite recipes. My mom still has her church cookbooks and this recipe is from Pat Roach. Thank you Pat, whoever you might be. This recipe is amazing! Keep up with all the happenings. Soften butter in the microwave for 10-15 seconds. Combine softened butter with sugar in a mixing bowl. Cream until butter and sugar are well mixed. Add egg and beat until incorporated. Add molasses and beat until well mixed. Sift flour into a small side bowl. Combine sifted flour with baking soda, salt, cinnamon, ginger and cloves. Stir to combine ingredients before adding to the mixer. Slowly add dry ingredients to mixer. Combine sugar and cinnamon in a shallow bowl. Roll cookie dough into balls, about 1 tablespoon in size. 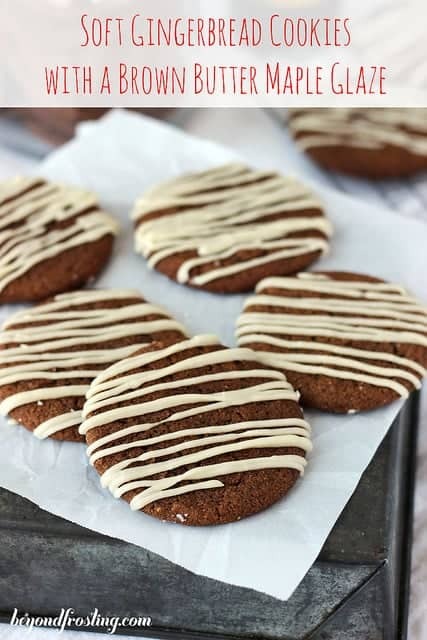 Roll dough balls in cinnamon sugar mixture and place these cookies on your baking pan. Bake at 350°F for 10-12 minutes. Allow cookies to cool on the pan for at least 10 minutes before transferring to a wire rack to cool. 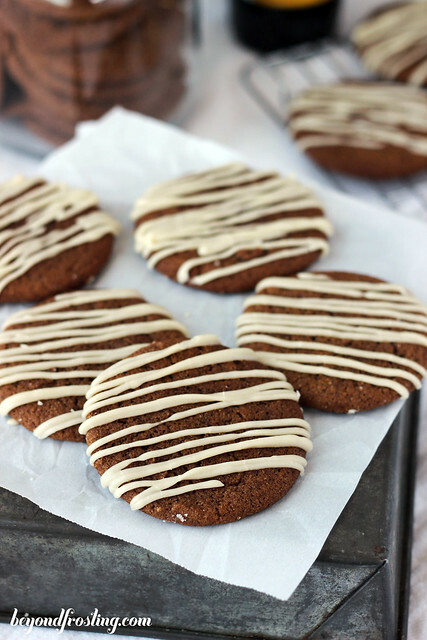 Prepare glaze and top cookies with brown butter maple glaze. Sift powered sugar. This step is necessary to create a smooth glaze. Add cinnamon. Pour melted butter over powdered sugar. Add maple syrup and whisk until smooth. To make glaze thinner, add additional a little milk if needed. Use a Ziploc bag or a spoon to drizzle glaze onto cooled cookies. **This recipe has been updated** The dough will be soft, but does not need to be refrigerated. The cookies will spread slightly and the results are cookies that are crisp on the outside and soft and chewy in the middle. Allow to cool on the pan. Hi Jackie. Thank you for your comments. I have gone back and changed the recipe slightly. It was my mistake, there were two versions of this recipe, one is for a cake like cookie that is baked in a square pan, that version included the addition of the hot water. 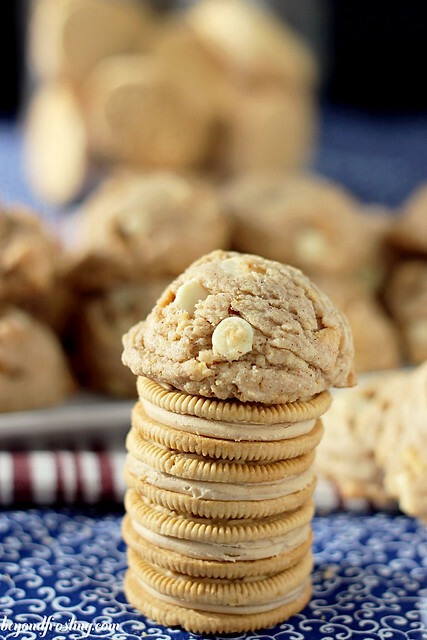 In order to get the chewy, soft cookies that this recipe is intended for, leave out the water, and you should not need to add any additional flour. My apologies. These look amaze balls! 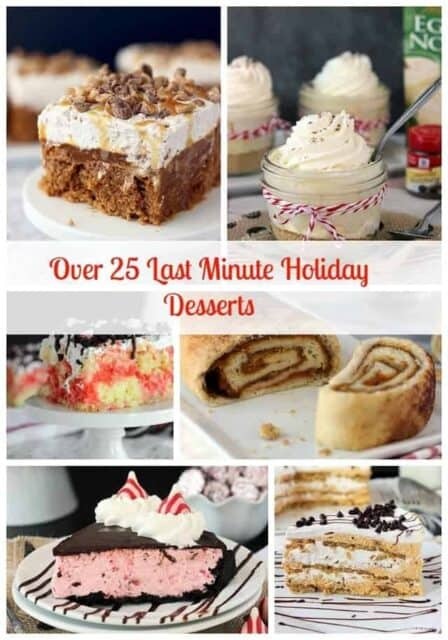 I totally got my sweet tooth from my grandmother too – she loved to bake. These are the BEST! That glaze! I want a straw. This is such a beautiful tribute to your grandmother. I am so sorry you lost her suddenly. I know how wonderful grandmothers can be. And I love me some church cookbooks. You did a wonderful job with this recipe. 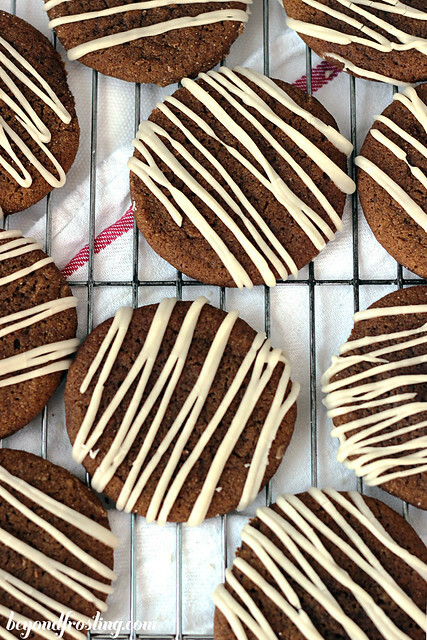 Definitely gingerbread cookies, and always addictive no matter what you call them! I’m always surprised when I can’t stop eating cookies like this, but they’re so good. And yours has pretty drizzle on top! Very sweet story about your grandmother. I lost mine around age 10, too. But she was an amazing baker, just like yours. It’s nice to have that legacy.